A few years ago, several churches in my town decided to celebrate the birth of Christ by putting on an interactive reenactment of Joseph and Mary's Journey to Bethlehem in one of our local parks. With three of my children, then ages 7, 5, and 3, I joined a small group of modern day visitors who were escorted through the park by costumed locals playing first century Jews. I knew my oldest two children were familiar with the story of Jesus' birth, but I wasn't sure how much Christopher, my three-year-old, understood. He has PDD-NOS, a form of autism, and his language skills were significantly delayed. We quickly left for Bethlehem with our Jewish hosts, and along the way, we met shepherds and angels who told us the Nativity story. 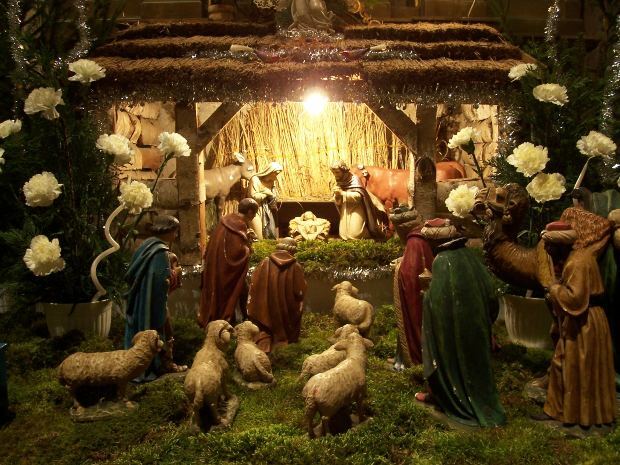 We eventually arrived at the manger, marveling at Mary, Joseph, and the newborn Jesus surrounded by cows, sheep, and other barnyard animals. After a local pastor led us in some Christmas carols, we reflected on the scene before us with reverential awe. I was amazed that even Christopher seemed to grasp the meaning of the display.